A computer scrapbook techniques magazine can make it easier to get started on your next layout. If you're in need of some inspiration for your next layout, a computer magazine for scrapbook techniques may be just the solution you've been searching for. Whether your style is casual, funky, or ultra-modern, you can find a number of free scrapbooking ideas online. A computer magazine for scrapbook techniques features tips, tricks, tutorials, and sample projects to help you make the most of your cropping time. If you're interested in digital scrapbooking, you can even find links to digital scrapbook freebies to use on your next layout. Creating Keepsakes: Even if you don't subscribe to Creating Keepsakes magazine, you can find a plethora of scrapbooking information on this easy-to-use website. You can read a selection of articles from the latest issue and take a sneak peek at the newest CK idea books, as well as browse through the site's online idea gallery, reader tips, and contests. For an added dose of inspiration, you can sign up to receive this site's free monthly newsletter. Scrapbooks and Cards Today: The Scrapbooks and Cards Today website offers articles, contests, free video tutorials, and a chance to subscribe to a quarterly e-zine filled with exclusive content. If you're looking for fresh and original scrapbooking ideas, this is the place to be. Jot: On the Jot e-zine site, you can register for free, participate in challenges, get project ideas and see the monthly themed e-zine. Scrapbook Crazy: Scrapbook Crazy offers a number of free newsletters for scrapbookers, including a tutorial newsletter designed to help you take your scrapbooking projects to the next level. 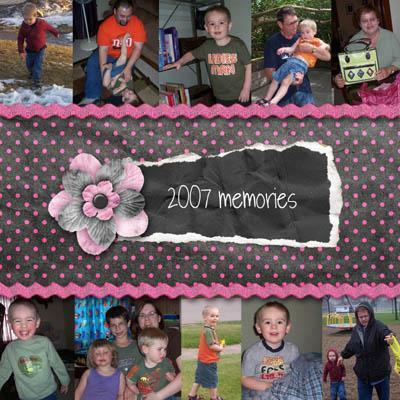 Digital Scrapbook Place: If you're passionate about digital scrapbooking, sign up for the free Digital Scrapbook Place computer magazine for scrapbook techniques to learn how to easily preserve your family's memories. As an added bonus, each newsletter includes links to free digital kits and page elements.